and subsidised by donations from our community along with income from our valued advertisers. 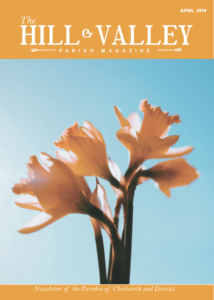 The magazine is produced 10 times a year by a small group of volunteer co-ordinators, overseen by a committee from our Parochial Church Council. It is delivered to all households in the District by a group of volunteer distributors. This website has three purposes. To assist in the production of the Hill and Magazine. To provide an online copies of the current and past magazines. To provide an extended version of the magazine’s “Dates for your Diary“. Any feedback about this website using our “Contact Us” page is most appreciated.